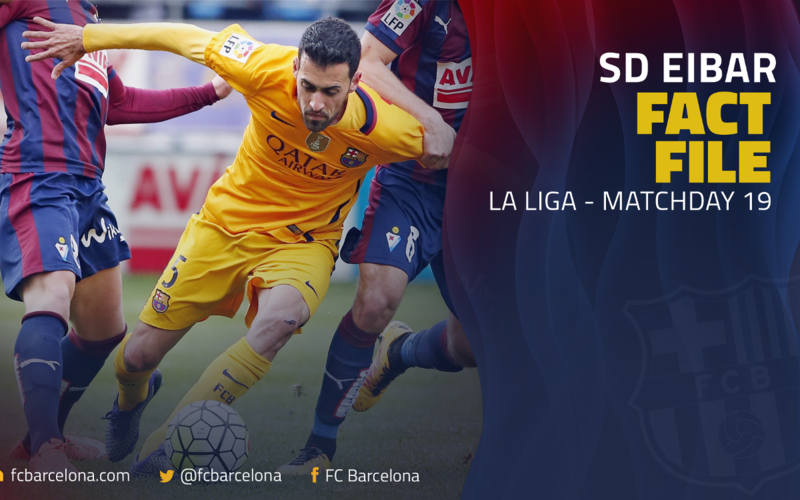 FC Barcelona are in Liga action away to Eibar this Sunday (8.45pm CET kick-off). It’s time to learn some more about the club that’s playing top flight football for only the third season in its history. Eibar is in the Basque Country, located roughly halfway between Bilbao and San Sebastián. Population figures are vague and change over the years, but with around 30,000 people, it has a very strong case for being the smallest town to ever have a club in La Liga. The Sociedad Deportiva Eibar (‘Eibar Sports Society') was formed in 1940 out of two informal pre-Civil War clubs. They originally wore red and white stripes modelled on Athletic Club Bilbao but in 1943 obtained a set of Barça shirts and to this day still wear the famous blaugrana stripes. With a capacity of just over 7,000 and surrounded by mountains, the Estadio Municipal de Ipurúa is the smallest but also the most scenic venue in La Liga. Since 2015, the ground has been undergoing a major upgrade process. José Luis Mendilibar has worked at an astonishing number of different clubs in his two decades of management. He has previous first division experience with Real Valladolid, Osasuna and Levante. Eibar have played more seasons in the Spanish Second Division than any other club, but had to wait until 2014 for their first promotion. They finished 18th in their debut Liga season and would have been relegated had Elche not been demoted instead for administrative reasons. Left back David Juncà is the only member of the Eibar first team to have spent time in the Barça academy, where he shared a dressing room with Rafinha. But Juncà departed for Girona when he was still only 14 years of age. So what’s with all the Scottish flags? Founded in 2001, Eibar’s biggest supporters group is called Eskozia la Brava ('Scotland the Brave') in recognition of the unique passion and loyalty of Scottish football fans. They’re particularly fond of Celtic, who were special guests at their 75th anniversary match in July 2015.